All done – I just need to cut the paper off on the left side:) I’m pretty happy with it, though it could be better. Moving on to windows. 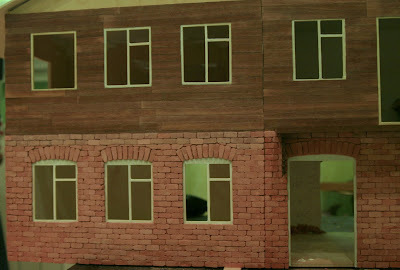 This weekend was looong, in Russia we had 4 day holidays, so I had a chance to start a new project. I can’t really go into details right now, but I hope I’ll show the whole thing pretty soon. I finally managed to buy MDF, a bit hard to buy, all the shops that sell it don’t work during weekends and are outside Moscow, but I found one. So I bought 6mm and 10mm sheets (2m X 3m). I’m going to use them for roomboxes and maybe one more dollshouse. Just found some pretty interesting source – dollshouse.tv. It’s a subscription-based, and I really liked it! Lots of projects to make, interviews and such. I think I’ll need to buy a tablesaw! When it’s quiet at home, when you’re tired of everything and just want to spend sometime alone. Enough of words, I love embroidery! In my doll’s house there should be a lot of it – blankets, towels, tablecloths, curtains. The first floor is finished. 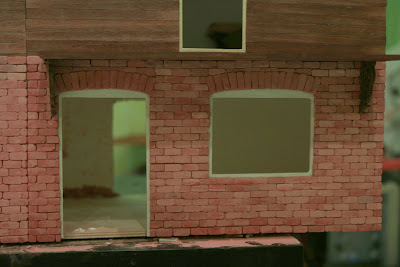 To the good part – I also painted the windows. On the second floor too. Though I think I’ll paint them again later on. Also I need to fix one window because I didn’t like how it looked. Yay! 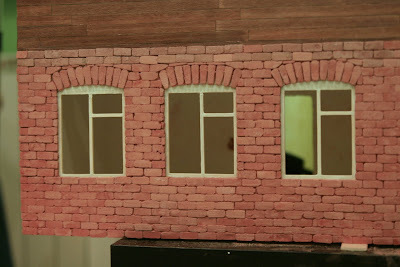 Next on my list – the balcony and the roof. Sorry for not posting anything new lately, I’m quite busy with my graduation work, though it’s second, it’s still lot of things to do. 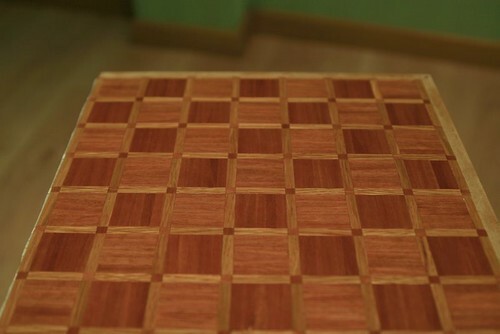 We’ve finished the parquetry, I’m not going to use it in my doll’s house, it’s just for fun. Now it’s sandpapered and covered with beeswax. As you can see, the first and the last balusters are bigger, which makes the whole composition very nice. For now, nine balusters are ready. 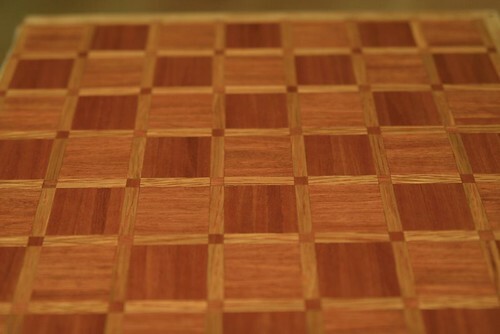 We became huge fans of miniature parquetry! :) Several patterns are made, some amazing pictures downloaded. It’s 15cm x 15cm. White oak.